Many homeowners think that if somebody has already started laying their tile that it’s too late to call EC Tile. Some of them know better. 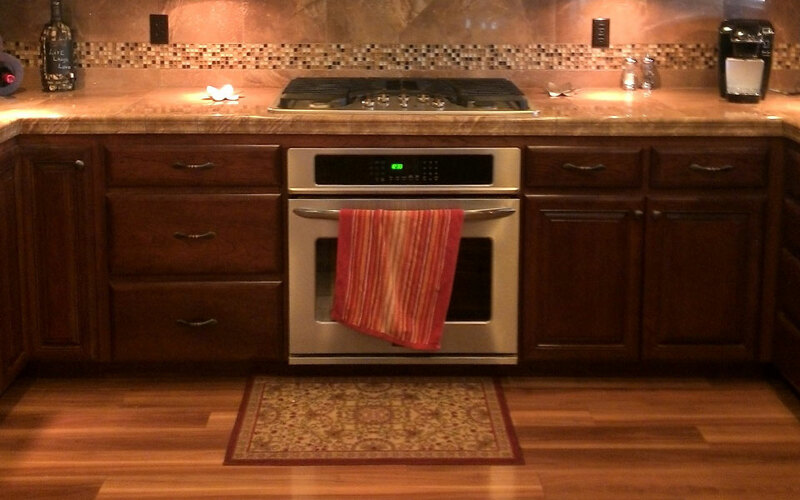 We’re glad that this homeowner called us to remove, refurbish and re-set this beautiful tile! It’s never too late to call the best Redding tile crew! This classy home on Saffron Way on the edge of Redding’s Clover Creek Preserve was another victory for homeowner and EC Tile. 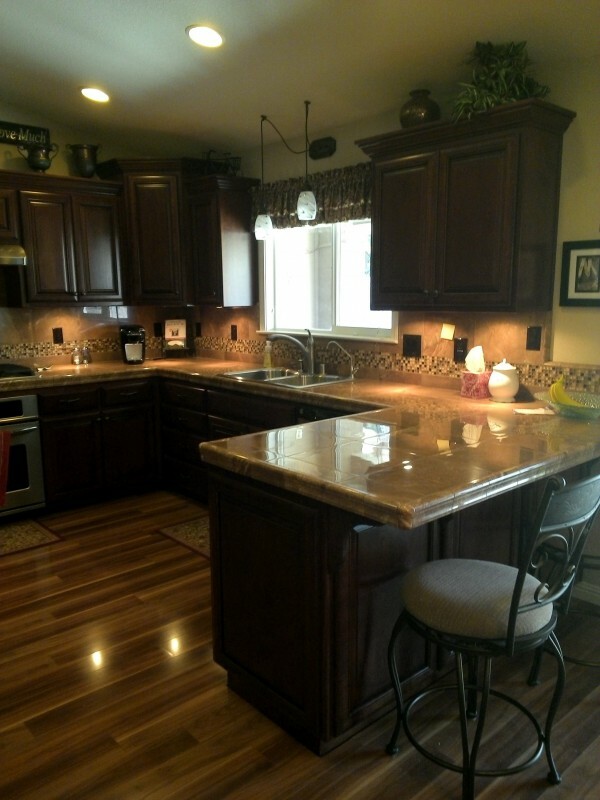 After the job had been started it became apparent to the homeowner that it needed to be redone. He called us and we came out to redo approximately 100 square feet of high polished faux marble porcelain tile in his kitchen. The job included a front and perimeter chair rail style cap on the edging. The primary materials were purchases for an excellent deal because they were recently discontinued, so the customer was all the more delighted when we were able to quickly remove, refurbish and use the material he had already purchased. The kitchen tile job also featured a stone and faux marble mosaic feature strip running through the back splash on the wall. 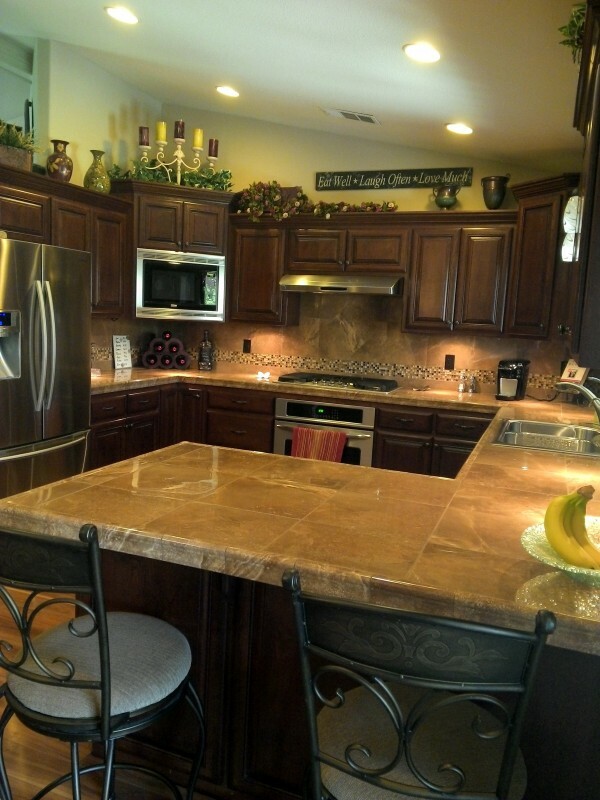 Beautiful faux marble truly made this job look twice as good as natural marble for half the cost! This Redding house was a pleasure to work in and we also did a complete bathroom remodel with a custom tile shower, vanity tops and a new tile floor.